Walls, Half Walls, Banners, Weights, & Other Accessories available! Upgrade Later to a Customized Canopy, use the same frame! Custom Tents with Accessories Kits. The last thing you want to do at your High School Sports Event, Trade Show Event, Event Fair, or Retail Sales Tent Booth is worry about setting up your Booth Tent. So at The Executive Advertising we have made it easy to design and setup you very own customized tent for your next outdoor event. To setup our promotional tents we recommend two people, one person on each side of the tent frame. Together open the frame until fully expanded, adjust your tent height from a push of a button, crank-open your canopy like an umbrella for a perfect fits and you are all done! See our Quick & Easy Set-up Diagram for more help. Each promotional tent is shipped with a set of installation instructions and if needed you can download your tent assembly instructions under each individual tent product. Saving time in your promotional tent setup allows you to do more for your event, besides wasting time setting up! 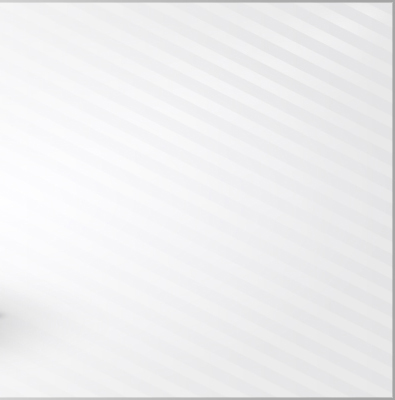 Advertising with Promotional Tents that are customized with your business logo – that want we offer! Our customized outdoor tents have endless possibilities for upgrades and design. Our custom tents are available in 3 easy to open tent frames: Our Standard Tent Frames (good or cheapest quality) that is made of 1.125 inch Steel Legs and features a 1 year warranty, our Deluxe Tent Frames (better or middle quality) that is made of 1.25 inch Steel and features a 2 year warranty, and finally our Premium Tent Frames (our strongest frame quality) that is made of 2 inch Anodized Aluminum with hexagon shaped legs and features a 3 year warranty. 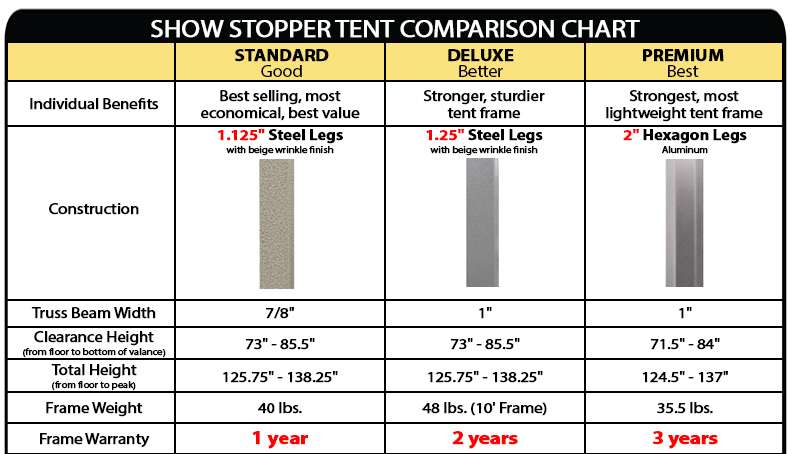 View our tent frame diagram to help see other sizes and features of our available Tent Frames. Full Color Thermal Printing on our customized tents which will print a full color logo in one specified location on the tent, and with no setup fee. Our Full Color Thermal Printed Tents includes one printed location on your custom tent. Each additional location is available for an additional charge per location. Our 10 ft x 10 ft tents have one to eight locations available for printing your full color thermal printed logo. See our 10ft x 10ft Template Diagram for all available printing locations. Our 10 ft x 15 ft tents and our 10 ft x 20 ft tents can be printed from one to twelve available locations. 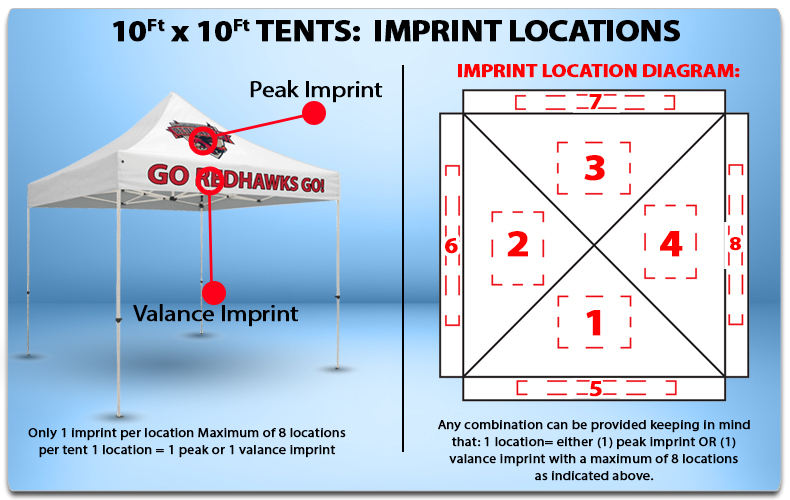 See our Large Tent Template Diagram for examples where to print your full color logos. On each side of your custom tent, you have the ability to print on the valance of the canopy or the peak of the canopy. 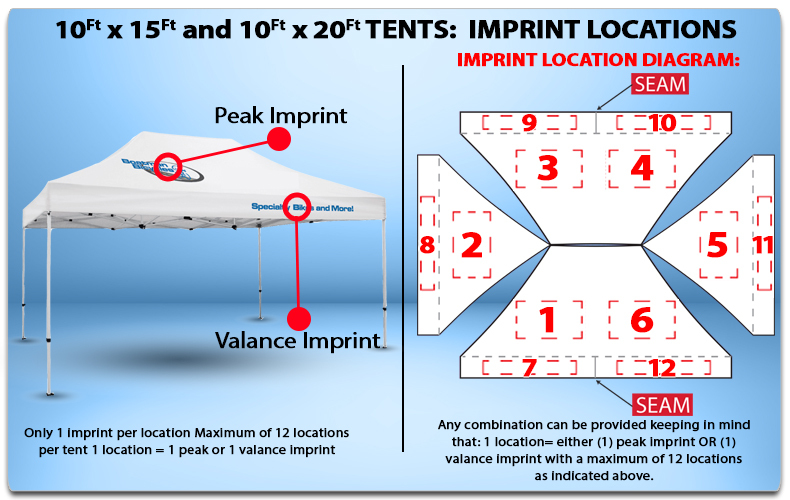 So with a 10ft x 10ft custom tent, you have a total of 8 imprint locations available. On our larger tents, you have up to 12 imprint locations to choose from. 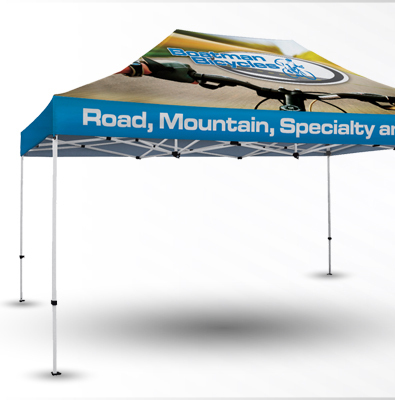 Full Color Sublimation Printing on our promotional tents, which means that we will print your artwork over the entire top of the tent canopy. 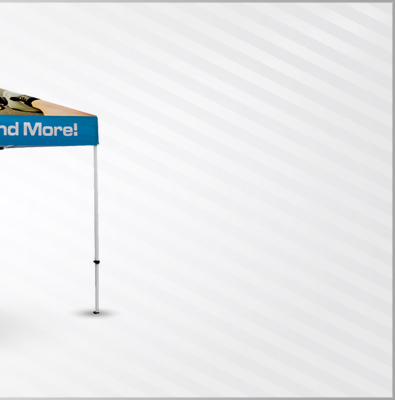 This is our most expensive print option, but if you are looking to maximize your custom tent marketing our full color sublimated tents are your best bet! Remember that you can match up full color sublimated tents with full color sublimated tent full walls and half walls to make a truly unique tent booth. Don’t forget that these canopies are fully replaceable! If you want to change your marketing from year to year, you don’t have to buy a new promotional tent – just order a customized tent replacement canopy. This can save you a small fortune over the years. And YES, you can replace a Full Color Thermal Printed Tent Canopy with a Full Color Sublimation Tent Canopy; they are made the same way with the same attachments. 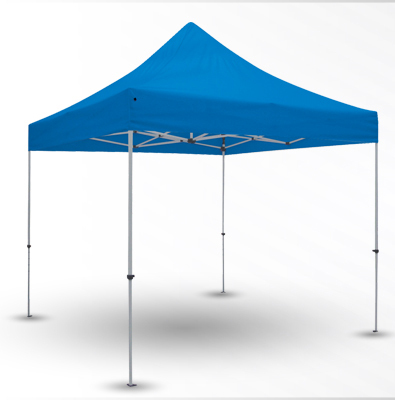 All of our promotional tent canopies are fire retardant and weather resistant to sunlight and water. Our customized tent canopies attach directly to the frame with a hook and loop attachment. Ok, let’s talk customizing your custom tents! Printing your company logo on top of your outdoor event tent is obviously a good idea! But at The Executive Advertising, we have more advertising ideas for you than just printing your logo on the top of the tent, try Custom Printed Tent Walls. Customized Tent Walls can give your tent the visual dimension it needs to really stand out for other customized tents that you are next to. 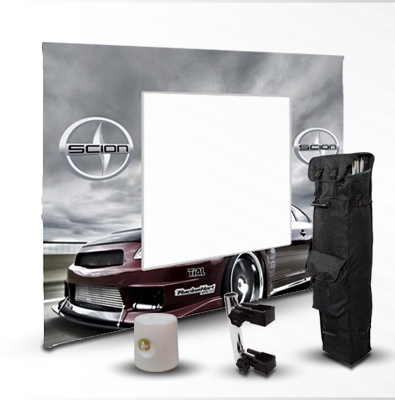 Customized Tent Walls (half or full walls) can be purchased blank or with custom printing. 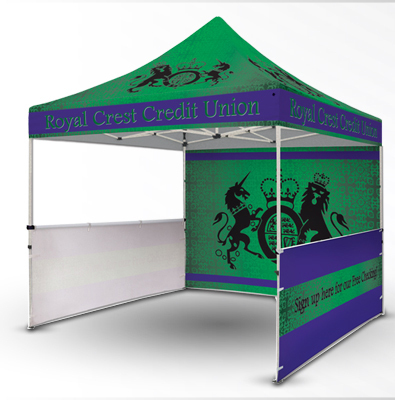 Our custom tent walls are printed similar to our tent canopies; that is they are available in full color thermal printing or full color sublimation printing, and with full color sublimated printing the possibilities for marketing are endless! Customized Full Wall for Tents feature a seam zipper on each corner of your custom tent. The zipper will allow you to connect the tent to another full size tent wall if you purchase more than one. That means if you purchase 4 tent walls you can enclose your tent. We also have window tent walls, that have a clear plastic so you can see through the tent wall. You can also try our Full Tent Walls that feature a walk through zipper, that zips down the middle of the tent for easy access while keeping the contents of the tent covered. Just remember that our half size tent walls do not come with side zippers to connect to other walls, only the full size tent walls comes with the connection zipper. 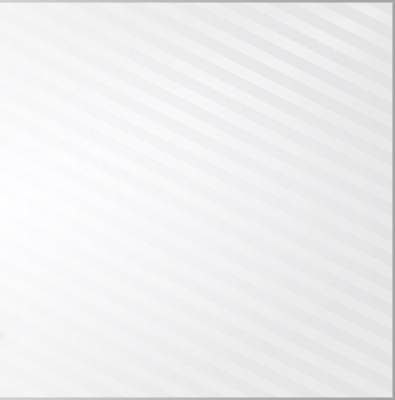 We’ll start with one of the most popular organizations that use customized tents: fund raisers. Custom Fund Raising Tents not only keep you covered from the hot sun but with also raise awareness for your fund raising cause. Customized Reseller Tents or Custom Sales Tents are also popular. Promotional tents can branded with your logo or images of your product or services can direct a crowd of people directly to your tent booth because of what you printed on your tent. Let’s not forget Band Booster Tents, Football Booster Tents and any Sport Booster Tents. 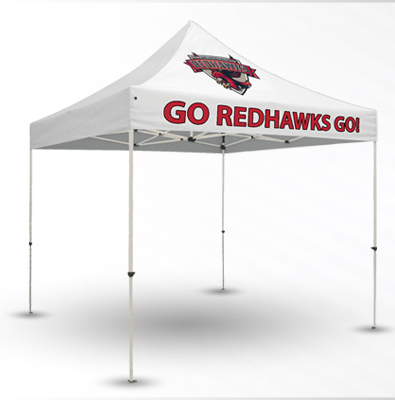 Local parents and communities need fundraising and awareness too, show your support for your local high school or college team by ordering a customized tent with your school mascot printed on the tent. If you are selling t-shirts, apparel or other event resale products, than our customized reselling tents are for you. 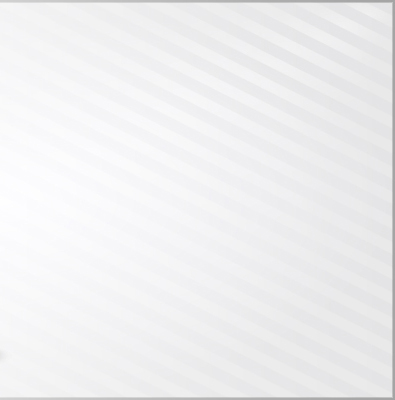 Promotional retail tents will get your product seen quickly and easily. If you are looking to host a marathon, you have to try our customized marathon tents to raise awareness at your marathon. At a marathon you’ll need shade! So why not use our customized marathon tents at your next 13.1 or 26.2 miles running marathon dash!